Ten-year-old Gracie Lee knows a few things. She knows which trees are best for climbing. She knows how to walk through the hallway without making a sound on the hardwood floor. She knows if Daddy's crop gets one more drop of rain, the whole family will pay the price. There are plenty of things Gracie doesn't know. These things keep her awake at night. Gracie longs for something bigger and grander and truer, and feels certain there is more to life beyond school and dull church sermons. She worries about the soldiers in Vietnam and wonders what it must be like to have been born Lisa Marie Presley from Tennessee instead of Gracie Lee Abbott from Arkansas. Mostly, she wishes her Daddy wasn't so mean. 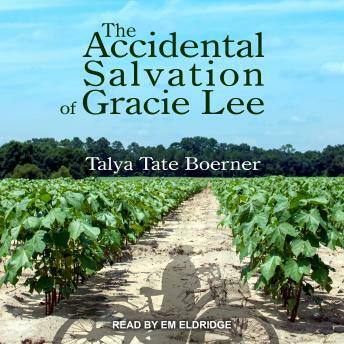 Gracie's unchecked imagination leads to adventure, and adventure leads to trouble. She confides in unexpected characters and seeks solace in a mysterious gray house beyond the cotton field. When Gracie faces a difficult family situation, she must make a life-altering decision, one that will test the very essence of her character.